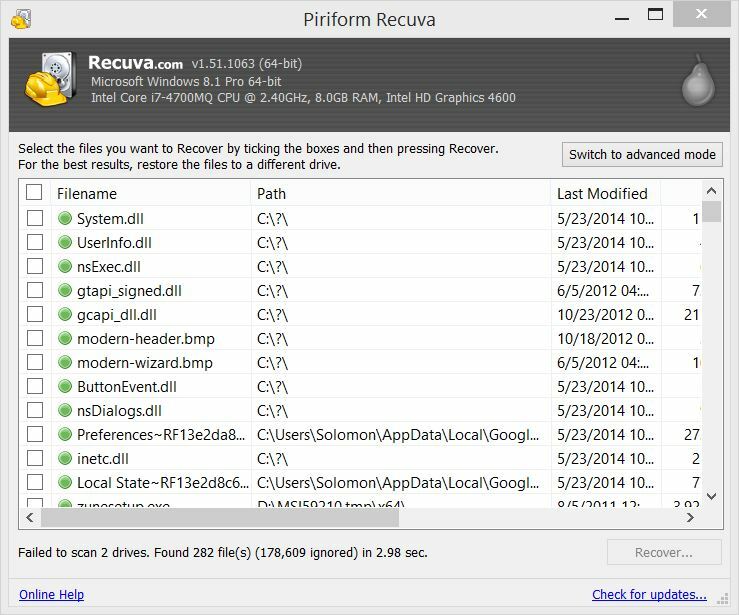 "Recover your deleted files with Recuva for your Windows PC." We've all been in the unfortunate situation where we've deleted a file that we thought was unimportant and then turns out it was extremely important. We empty out our recycling bin and then we get the terrible realization of what we've just done. "No, not my quarterly report!." Before you panic, wait. There may still be hope for your files and your job. Some recovery software has the ability to dig deep into your system to find deleted files, even if they were emptied from the recycling bin. 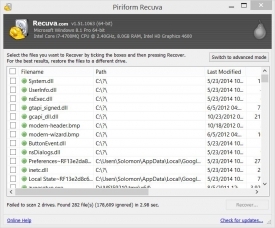 Recuva (pronounced how it looks) is an application that does just that. Sometimes when you delete a file from your computer, it is still left in memory, at least until the next time you restart your computer. Recuva is able to take that cached memory and sift through it for deleted applications, files, and folders of files. Let's just hope that your files were some of the lucky ones that got left in memory. There are some limits to Recuva's ability to work properly. For example, if you are someone who uses the advanced uninstallation applications that uninstall an application and then look for other files associated with that application and deletes them too, you may be a bit out of luck as Recuva will likely be unable to recover those files. I'm not saying not to use those applications, as they work very well; I'm simply recommending that you use caution when using them if you would like a program like Recuva to work.